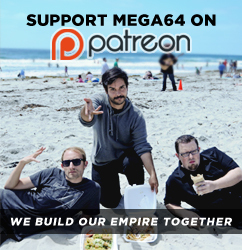 Mega64 Podcast 500 - Celebration Special!!!! IT’S OUR 500TH PODCAST!!!! Join us as we reflect on the past 499 podcasts we have done, as we try to pick out some of the greatest moments, of the worlds greatest podcast. We may also have a surprise or two along the way!!! Click here for the audio version! I want to give a special thanks to everyone reading this, becasue of you we have been able to do 500 of these things! THANKS!!! !